Drs. 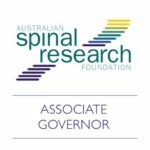 Brad and Jen, your Wantirna chiropractors, were recently appointed Associate Governors of the Australian Spinal Research Foundation. All Associate Governors act in an honorary capacity providing service to the profession. Drs. Brad and Jen are proud supporters of the Australian Spinal Rese..
Buying running shoes should be easy, yes? However, we can get them wrong so often! ..